Hello! 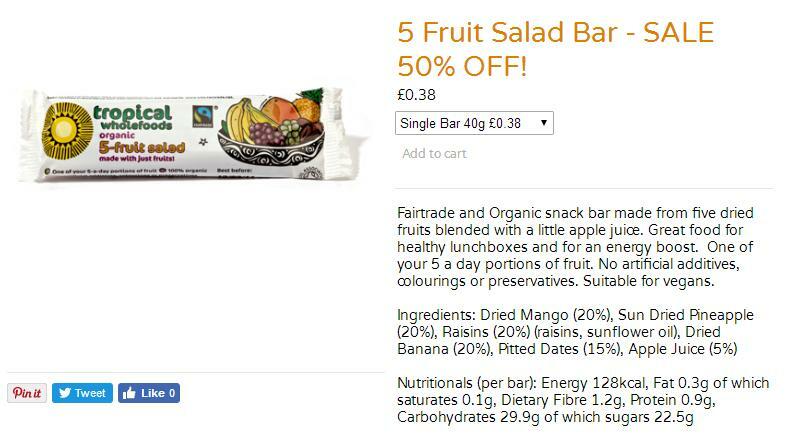 Yummy fruit bar makers Tropical Wholefoods are having a sale on a few of their bars, with 50% off! 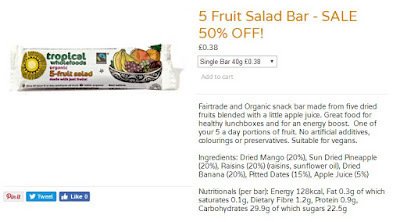 The flavours include: 5 fruit salad bars, apricot and raisin bars, mango and brazil nut bars and date and walnut bars. Postage is free! Yaaaay free! This is for a limited time, while stocks last.